What to know about vegetable beans. Beans as a group constitute one of the largest of the vegetable food crops; their culture is extensive and widespread. They mature crops quickly when used as green vegetables, thrive successfully in most temperate and warm climates and are valuable items in the diets of many peoples, especially when the seeds are used in the dry state. Of considerable importance is the fact that the pods and the seeds in the green stage are well adapted to preservation by freezing at low temperatures. The general classification of Beans for marketing purposes is as follows: String or Snap Beans, Shell Beans, Lima Beans, Soy Beans and Broad or Fava Beans. Most Beans belong in the genus Phaseolus. Exceptions are the Soy or Soja Bean, Glycine hispida, and the Broad Bean, Vicia Faba. The green-podded varieties are represented by both dwarf or bush kinds and climbing types. 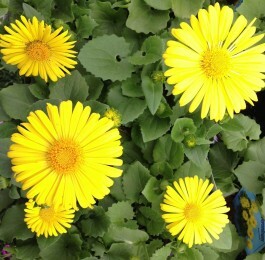 The number of varieties listed for sale is large and varies in different localities. Recent years have seen the introduction of many of the stringless varieties which are superseding the slender, long-podded kinds formerly favored and grown as exhibition specimens. Popular now, but not necessarily new ones, are Bountiful, Stringless Greenpod, Tendergreen, Valentine and Dwarf Horticultural; the last named may be used as a Snap Bean in the young stage, as a green Shell is Bean when partly mature, and later as a dried Shell Bean. Climbing varieties include Kentucky Wonder, excellent as a Snap Bean and of wonderful flavor, which crops for a long period provided the beans are not allowed to mature; Horticultural Pole is the climbing counterpart of Dwarf Horticultural and may be used in a similar manner. The Scarlet Runner, a favorite and standby in Europe, prolific and of excellent quality, is grown to some extent in the United States but not in any appreciable quantity. Wax Podded or Butter Beans. These are varieties of the Snap or String Beans, described above, that have yellow pods. 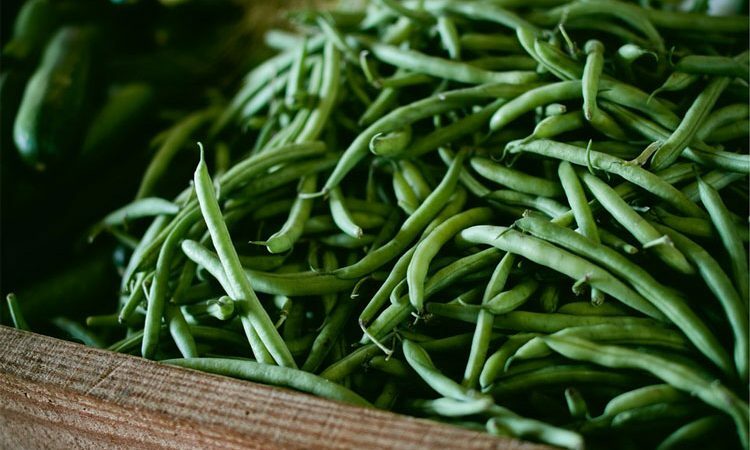 While in some demand as a “green” vegetable, they a.re not grown to the extent that the green kinds are; from these the Wax Beans differ slightly in flavor. Both bush and climbing varieties are cultivated and are represented by Golden Wax, Pencil Wax, Brittle Wax among the bush varieties and by Golden Cluster Wax and Kentucky Wonder Wax among the climbers. Methods of Cultivation. Beans of the Snap types are tender subjects and consequently should not be sown until danger from frost is past. They respond to good cultivation and succeed in most soils; a light, friable, loamy medium is best suited to their requirements. Acid soils should be brought to a neutral or slightly alkaline condition by liming. Preparation of the ground should begin during the fall or winter season by plowing or digging to a depth of 1012 in., if possible, and by incorporating with the soil well-rotted manure and bone meal or superphosphate to ensure good fertility. The seedbed should be prepared in spring when the soil is in good workable condition by discing or light cultivation, drills being made for the seeds 24-36 in. apart. The seeds should be dropped in the rows from 3-6 in. apart (the closer distance for the earlier season planting) and be covered with 1-1 1/2 in. of pulverized soil. A side dressing of fertilizer, applied at this time, will benefit the growing plants if it is cultivated into the soil at the first operation. Beans of the climbing varieties need supports to which to attach themselves. Suitable support may be afforded by strong brushwood, by poles arranged as a fence, or by strings. Cultivation to control weeds and conserve moisture should be carried out methodically and periodically. Successive sowing every ten days or so to ensure a continuous supply of Beans throughout the season should be made until it is too late to sow with fair expectation of the crop’s maturing before frost. Under no circumstances should one walk or work among Snap Beans when their foliage is wet; to do so encourages the spread of disease. These are an important food crop and are grown in many sections. They require a longer growing season than Snap Beans, some 80-90 days. Rather more tender and susceptible to injury from cool or excessively rainy weather than Snap Beans, Lima Beans are a decidedly warm-weather crop. Many varieties, both of Bush Limas and of the climbing types or Pole Limas, are offered by the trade. The Bush or Dwarf Lima is favored for early sowings, germinating more reliably and also maturing quicker than the Pole kinds. The Pole Limas are heavier croppers, however, and have a more extended season. Fordhook Bush, Henderson’s Bush and Burpee’s Bush are grown extensively and are all excellent. Leviathan and King of the Garden are standard Pole kinds. The Caroline or Sieva Bean is a small-seeded Lima Bean favored by many people and is popular for canning and freezing. It is a wonderful cropper, stands rainy weather better than do the large sorts, and is less liable to suffer from mildew. It may be had both in Bush and Pole varieties. Methods of Cultivation. It is entirely impractical to sow seeds of Lima Beans until all danger of frost has passed and the weather has become warm and really settled. Soil preparation may follow that advised for String Beans. Good ground is necessary and, in order to facilitate germination of the seeds by providing as warm a seedbed as possible, sowings of the Pole varieties are usually made in hills (groups of a few seeds spaced at wide intervals), except in the warmest sections. Single poles, some 7 ft. or so of which should be above ground, are set 3 ft. apart in rows, the rows being not less than 4-5 ft. apart. Hills are drawn about the poles with a hoe, or may be plowed in ridges and then formed about the pole, a sprinkling of fertilizer is worked into the hill and 5 or 6 beans are sown at a depth of 1 in. or so. Later, should all the seeds germinate, they may be thinned out so that 3 or 4 plants remain. In the warmest and most congenial parts of the country, where climbing Limas are grown in quantity as field crops, no supports are provided; the vines are permitted to trail on the ground. In order to grow Limas successfully by this method, care must be taken to keep the growth within limits until the plants are well advanced, so that weeds can be controlled by cultivation. A favorable climate is also necessary for this method of Bean culture. Under this heading are grouped those Beans grown exclusively for use as dried Beans. These are mostly of the String Bean type. They form valuable articles of diet and are grown in great quantities as field crops. Navy or Pea Bean, Yellow Eye and the Kidney varieties, particularly Red Kidney, are standard sorts. This Bean, which was mildly popular both as a Green Bean and Shell Bean some few years ago, has not taken its place as a major vegetable. The variety Bansei is the one generally grown for this purpose. The Soy Bean is a valuable article of food and is used considerably in the preparation of oils, flour, seasoning and sauces. The flour prepared from it is widely used with other flours and food mixtures. It is cultivated in the same way as are Lima Beans. Popular in Europe, the Broad Bean occupies a place in the diet there somewhat approaching that of the Lima Bean in America. It does not compare in quality and flavor, however, with the Lima Bean, but is valuable because it withstands much colder and damper climatic conditions, and comes into bearing early. Fava Beans grow some 3-4 ft. in height, carry many pods, each 6-7 in. long, and vary considerably in minor characteristics according to variety. Windsor and Longpod are staple varieties. The Fava Bean needs cool weather for its development. When grown in the East it is very essential that the seeds be sown just as soon in the spring as the ground can be worked. They should be set 8 in. apart in double drills (8 in. between drills) with each set of double drills spaced 3 ft. from the next. Alternatively, they may be sown the same distance between seeds in single drills spaced 2 ft. apart. The soil should be rich and deeply prepared. When the lower trusses of flowers have faded and set their pods, the tip of each plant should be pinched out. This encourages the development of earlier and finer pods and serves to some extent to discourage black aphids, which are a serious pest of this vegetable. Fava Beans thrive in the Canadian Maritime Provinces, in British Columbia and in Washington and Oregon. In California and some other parts of the South they may be grown in winter.